The All-Star Band Featuring Former Members of Puddle of Mudd, Soulfly, Seven Story Drop and Dead Kennedys Tears It Up Tunefully on Their Debut EP "A Rhyme & Reason"
LOS ANGELES, CA--(Marketwire - October 18, 2010) - Rockers Against All Will (AAW) play hard, yet never lose sight of stirring up conflicting emotions, channeled through bracing riffs and complex, beat-anchored rhythms within their latest EP "A Rhyme & Reason." Based in Los Angeles, AAW is a rising force in rock, an all-star band of musicians featuring former Puddle of Mudd guitarist Jimmy Allen, drummer Steve Wilson of the Dead Kennedys, bassist Cello Dias from Soulfly and singer Jeff Current, formerly of Seven Story Drop. Allen formed AAW nearly three years ago, however, his resume includes co-founding Puddle of Mudd and co-writing the band's biggest hits "Blurry," "She Hates Me" and "Drift And Die." "As new songs began to take shape, I started putting this band together," Allen says. "When we arrived at the line-up now, it just jelled, each of the guys really bringing their own thing to the table." 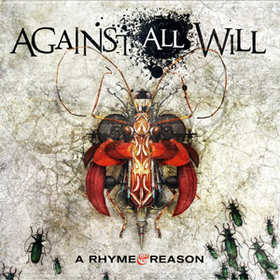 AAW released two singles, "You Can't Change Me" (2007) and "Tomorrow & Today" (2008) gaining momentum culminating in the current band lineup and their 2009 debut EP "A Rhyme & Reason." The band's most recent singles, "All About You" remixed by Jeff Tomei (Matchbox 20, Smashing Pumpkins, Jerry Cantrell) and this past summer's smash hit "The Drug I Need," have both garnered rock radio attention. "With us the songs come first," Allen says. It's about writing songs that have a lot of hooks and so on, but also depth and a perspective." AAW matches its studio skills with performance prowess live on stage. "We're all veterans playing on the road and we want people to get their money's worth," Allen says. The "AAW Army" of loyal fans continues to grow, linked through the band's website along with their MySpace and Facebook pages as well. December will see an exciting giveaway of an ESP guitar and a Baby Taylor acoustic guitar to one lucky AAW fan. Details on the drawing can be found on the official Against All Will website.